HTC has taken a lot of flak for the HTC One M9. It’s not a bad phone on its own, but the company did next to nothing different compared to yesteryear’s HTC One M8. Well, it wasn’t enough to get M8 owners to consider upgrading, anyway. But the company says the iterative updates are about to go away. CEO Cher Wang confirmed to Focus Taiwan that HTC is planning to bring a fresh, innovative device for the next flagship M device ( HTC One M10, anyone?). We’ll see new goods in areas of both design and technology. 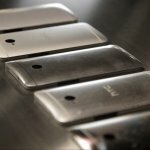 It will have been the biggest departure from HTC’s tried and true engineering since the original HTC One (M7). 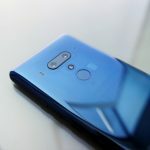 Beyond that, the company is also planning to launch another hero device later this year, which seems to indicate that they’ve ditched their strategy of releasing just one sole flagship device each year. Then again, they’ve already shown us that they have no problems releasing multiple high-end smartphones, even when their launches come weeks apart. 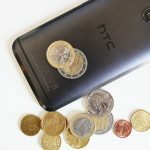 HTC’s also conscious about their questionable marketing efforts, and says they have plans to step it up down the line. We’re not sure what they will do, but we sincerely hope it features a lot less Robert Downey Jr.